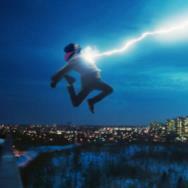 Last September, an ambitious comic book film was released that defied the conventions of most releases derived from the world of comics and graphic novels. It’s not often that a creative team and studio get behind a relatively short, low-budget, hard-R action film if it comes from the world of comics. 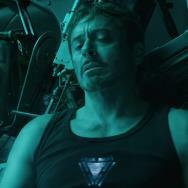 While R-rated comic book films aren't a death sentence in terms of marketability, they rarely do the same immense business as a PG-13 offering from Marvel Studios or Warner Bros. and DC. This is especially true with Dredd, an adaptation of the nearly fascist judge, jury and executioner from Mega-City One found in the pages of British publication 2000AD. Judge Dredd had been made into a live-action film once before, and for all intents and purposes, the results were disastrous. Judge Dredd, the 1995 movie starring Sylvester Stallone and Rob Schneider, managed to make most of its money back due to a much kinder reception internationally than domestically, but the film incensed the fans of the original material, Dredd cocreator John Wagner, and general audiences with its careless and campy screenplay. 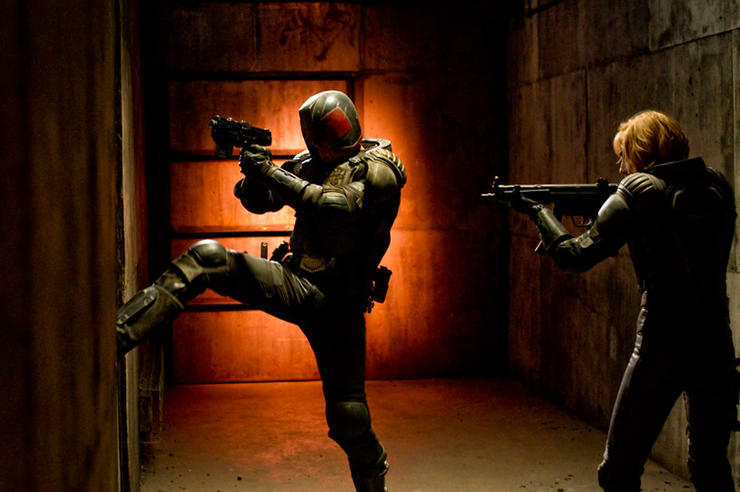 The year 2012’s Dredd, by contrast, took the material and the character and severely grounded it in an effort to make the audience feel almost as if they were on a ride along with the fierce judge. The casting of Karl Urban, deftly economical use of sets and effects, and gritty, functional production design all combined into one of the freshest comics films of recent years, unapologetically translating the harsh world of the Mega-City and delivering a suspenseful thrill like few of its forerunners. Critics agreed that Dredd was an exhilarating experience that should serve to banish the Stallone film from audience’s minds. 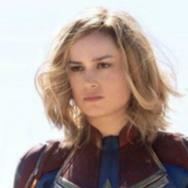 Eager to see it, I remember running a couple of minutes behind to the local theater, worried that the final showing on opening night might be sold out by the time I got there. My girlfriend and I rushed out of the car, grabbed our tickets, and hurried into the theater. When we turned the corner and had our first glimpse of the rows of seats, I felt a little odd. The theater was almost empty. I shrugged it off, thinking this was an isolated incident. That first viewing of the film was spectacular, and Dredd still stands as my personal favorite 3D experience I’ve had with a modern film, since the “slo-mo” scenes' reliance on them helped immerse me in understanding how that drug affects people. Basically, the movie got high for me, and its use of 3D as a whole combined with the gritty production design to make for a great experience. Sadly, it turns out most people missed that Dredd experience in theaters. Flash forward to January of this year. The Internet has changed the world in too many ways to list, and it has completely changed the way that genre fans have been able to interact with their favorite characters and franchises. 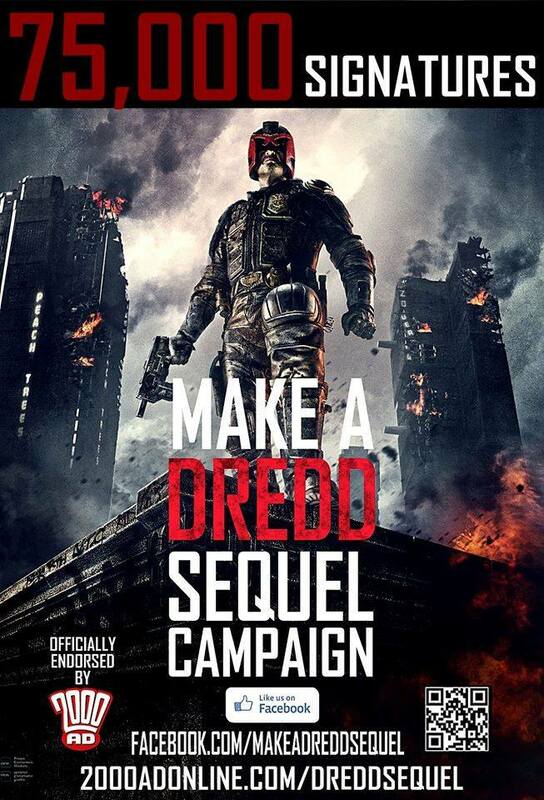 Online groups and petitions are the norm now, and one such group was created right before Dredd was released on home media to try and drum up support for a sequel to the 2012 actioner. The Facebook page, appropriately and simply called “Make a DREDD Sequel,” forcefully and rather gracefully started plastering its page with simple graphics trying to spread its cause. The enthusiastic fan base caught wind of the unofficial page on Facebook and eventually, by this past July, had managed to garner over 20,000 “likes” -- quite the reach for an unofficial Facebook fan page. Not long before this year’s Comic-Con, the page caught the eye of some important people: Dredd’s publishers at 2000AD. The publishers were so taken with the spirit and determination, that they’ve done something not many fan pages can lay claim to: they made it official by the very publishing house that Joseph Dredd himself calls home. Since going official, the page has more than doubled its reach, with the amount of likes it currently has stopping just shy of 60,000. The impact of the campaign seems to be pretty clear. After urging its members to add Dredd to their Netflix queues in an attempt to get the film onto the ever-popular Watch Instantly stream service, this past week saw Dredd added to the instantly streaming titles offered by Netflix. While there’s no official way to know exactly how much the campaign had to do with it, the fact of the matter is they set out to accomplish a goal and have now seen it come to fruition. If you want to join the cause of getting a sequel to the film, you can find the Facebook page HERE and the official petition from 2000AD HERE. The campaign echoes the thought of many fans in saying that Dredd did not get its appropriate due on a first run. Now that more and more people are assured to see it through its home media release and its presence on Netflix, a sequel may have a shot in showing people how fun, crazy and action-packed a gritty Judge Dredd film can be. If you haven’t yet (and if you’re a Netflix member), click here to watch the movie and decide if you think a sequel should get your support. When it comes to collected editions of DC Comics stories, the Absolute Edition hardcover is like the ultimate special edition Blu-ray set. Absolutes come as oversized, slipcased hardcovers with their pages printed on archival-quality prints, and usually include a plethora of extra material from the creative teams like script pages, concept sketches, layouts and commentaries. When a DC Comics story gets the Absolute treatment, you can be sure that it’s for a very good reason. Appearing in comic book stores today is Absolute Superman/Batman Vol. 1, by writer Jeph Loeb and artists Ed McGuinness and Michael Turner. 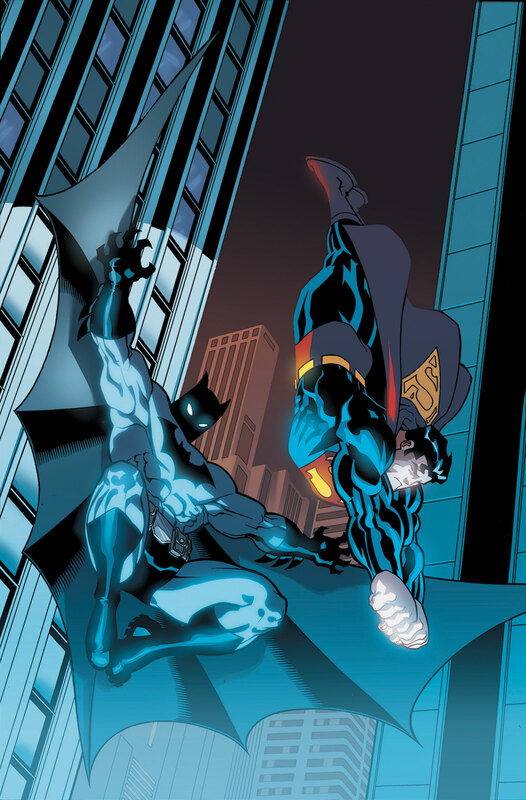 Collecting the first 13 issues of the acclaimed Superman/Batman ongoing comic series that ran from 2003-2011, volume one features the stories of “Public Enemies” and “The Supergirl from Krypton.” In “Public Enemies,” a giant Kryptonite meteor has threatened Earth, and President Lex Luthor is using the public fear stirred up by its impending arrival to turn the United States against the Man of Steel. Seeking Batman’s help, Superman decides that the public needs to learn the truth out of Luthor, which may end up forcing the onetime supervillain from office. In “The Supergirl from Krypton,” it’s revealed that the meteor that threatened the Earth had in fact housed another survivor from the doomed planet of Superman’s birth, that of his cousin Kara Zor-El. Now that they have to look after the most powerful teenager in existence, life gets turned upside down for the World’s Finest as an old enemy watches from afar, planning to subjugate the new arrival for his own ends. It’s a fantastic collection, and would definitely make a handsome addition to any comic book fan’s shelf. While it’s available in specialty stores today, you can get up to 40% off if you can wait a few days by ordering from Amazon. That does it for this edition of Comics on Film! 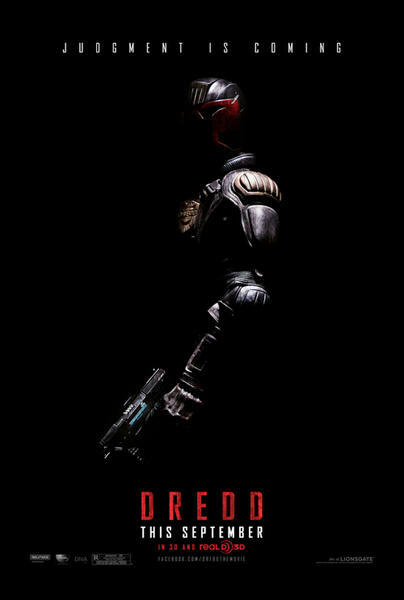 What did you think of Dredd? Does it warrant a sequel? How about your opinions on a fan page gaining official status? Sound off below, and we’ll see you in seven days for the next edition!